[SatNews] While the satellite's mission is kept under wraps, it's no secret that today's launch was successful. 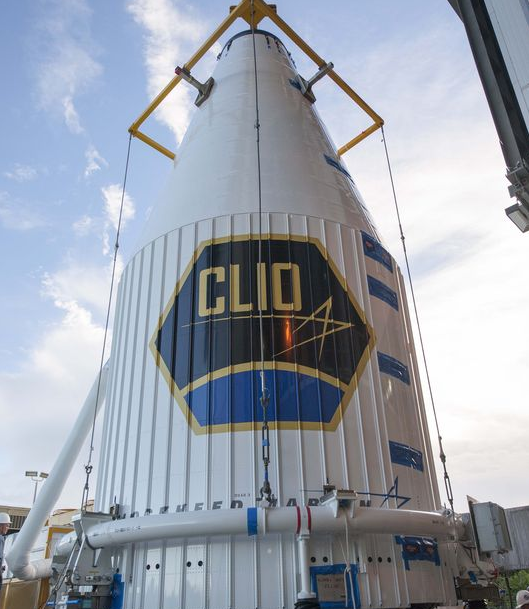 Cape Canaveral Air Force Station, Florida, (Sept.ember 16, 2014) – A United Launch Alliance (ULA) Atlas V rocket carrying the CLIO mission for Lockheed Martin Space Systems Company launched at 8:10 p.m. EDT today from Space Launch Complex-41. ULA's next launch is the Atlas V GPS IIF-8 mission for the United States Air Force scheduled for October 29, from Space Launch Complex-41 at Cape Canaveral Air Force Station, Florida. For more information on ULA, visit the ULA website.